Tap the Explorer's Gate on the main screen to open the Dungeon Map. There are currently 10 areas, each with their own set of Dungeons. Within each area, clear a Dungeon with at least one-star difficulty to unlock the next Dungeon. Once you completed an area’s Boss Dungeon, the next area will unlock. Tap the arrow or swipe the screen sideways to view a different area. Stars: The number of Stars in the bottom right corner represents the total number of Stars you’ve earned from Dungeons. Collect Stars to get bonus rewards. 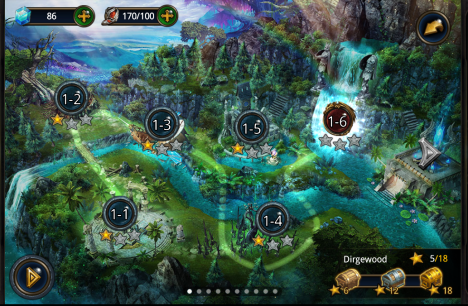 Tap a Dungeon icon in an area to open the Dungeon interface. 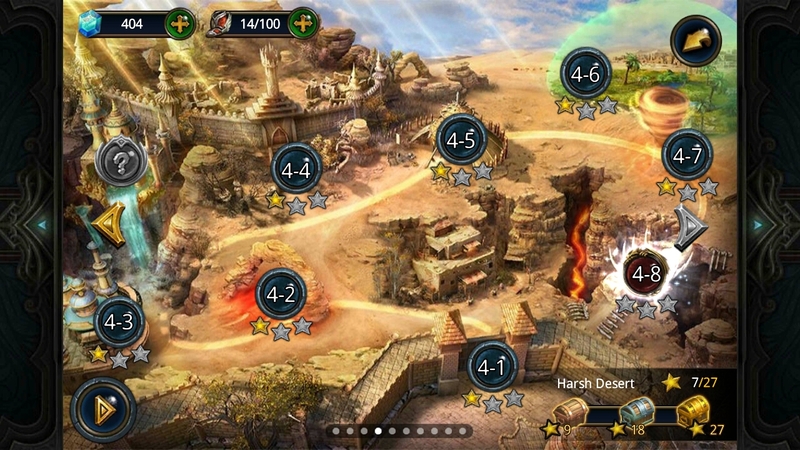 Each Dungeon has 3 stars. Complete each difficulty level to get one star. Difficulty: Each dungeon has 3 different levels of difficulty. Complete a difficulty level to automatically enter the next difficulty level. 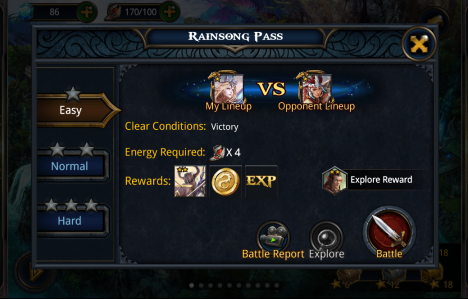 The interface will display details on the current difficulty level as well as the relevant rewards. You must fulfil each level’s victory requirements to unlock the next difficulty. Battle: Tap ‘Battle’ to enter the selected Dungeon. 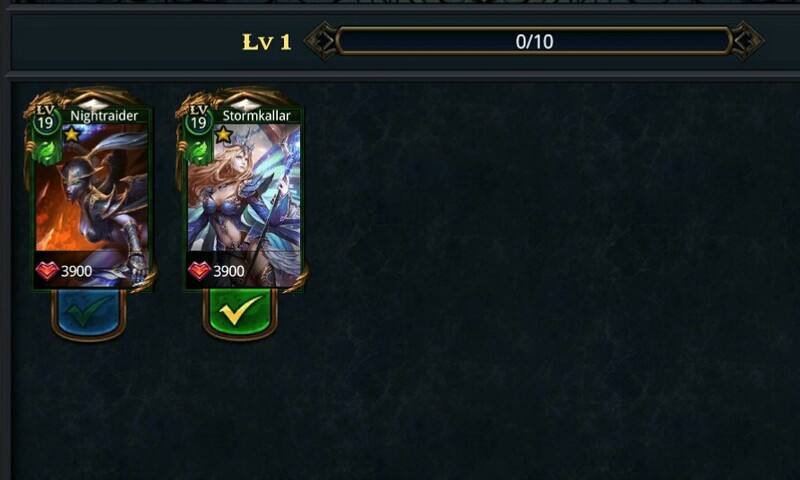 Explore: Tap Explore to get a Dungeon’s rewards without entering a battle. Each Exploration will cost you a certain amount of Energy. Battle Report: Tap Battle Report to see how other players handled a Dungeon on a particular difficulty level. are the dungeons reset once daily similar to the mazes? No, the Dungeon is not allowed to repeat. 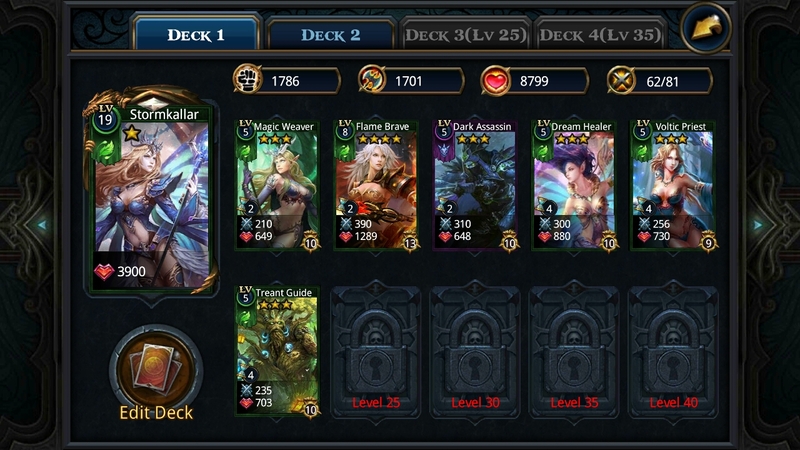 How do you complete the victory condition when it ask you to have at least 2 2 star creature in your deck. Upgrade creatures at maximum level. Pick the best creatures skills. Specifically frosts arrows. You need to go to edit deck and swap 2 of your existing creatures with 2 - 2 star creatures. 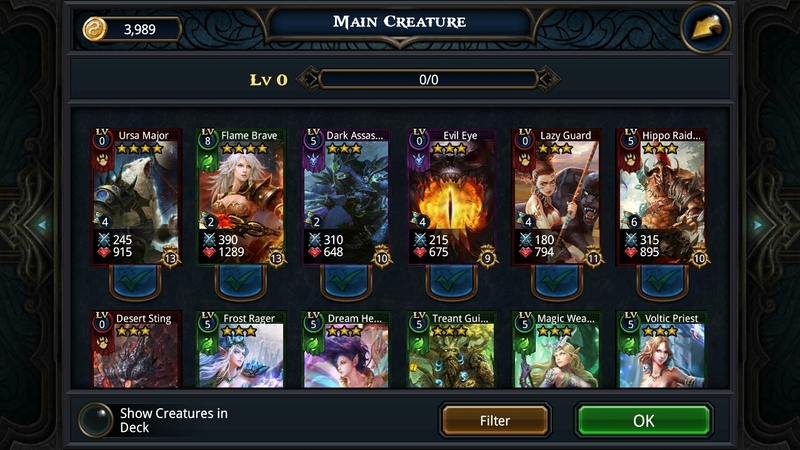 Have 3 and 4 star creatures to help you win quickly and try to use 2 star creatures that enter battle later, rather than early. high HP helps a lot too. What the numbers in the Battle Report mean? How can we go to hidden dungeons ?